Опис: From the foremost Ukrainian science fiction writer, a collection of his best stories. Thought-provoking, extraordinary journeys through inner and outer space, contacts with alien life forms, man's quest for immortality. This is the first English translation of Berdnyk's works, with an introduction by Walter Smyrniw, McMaster University. 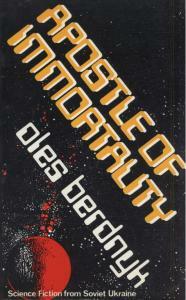 Unorthodox and provocative, Berdnyk's science fiction was highly acclaimed by readers, but aroused the ire of the KGB. Until recently, the author was imprisoned and unable to write.